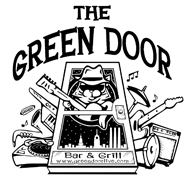 When you're looking for a friendly place to watch the game, toss back a couple with good friends, and enjoy nightly entertainment, then The Green Door is just the place for you. Our casual bar and grill is the Capital City's prime spot to catch the best live entertainment in Lansing, Michigan, 6 nights a week. 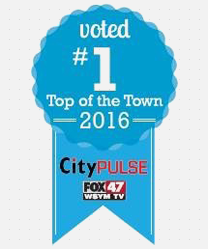 We feature local, regional and national acts in a variety of genres. We offer great 80's cover bands, to rock, classic rock, upbeat funk, soul, blues, R & B and bluegrass in the area. 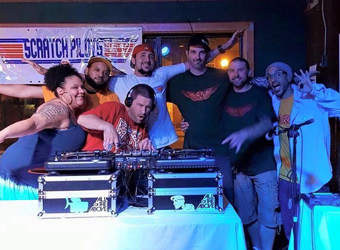 We also have Karaoke night and Turntable Tuesdays w\ Lansing's own Scratch Pilots. Our friendly staff offers an upscale bar menu with many mouthwatering choices, including many homemade options such as delicious appetizers, juicy burgers, deep-dish pizza, and calzones. Our venue offers an outdoor patio seating, dart boards, a pool table, and 7 plasmas TVs if you're looking to watch the big game. We also have a private meeting space that that is available for a minimal fee. If you're looking for a spot for a private party, meeting or any occasion. You've found it! This room does include a plasma TV. This room is only available for reservations in advance. If you're interested please send your questions and requests thru our Contact page. For questions regarding reserving our private banquet room or renting the venue, please call us at (517) 482-6376 or send an email request to receive a response within 72 hours. Reservation requests via email are not a confirmed reservation. 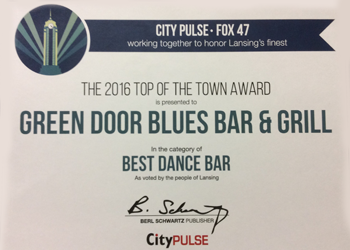 "We live in Flint, and were in town and just stopped in on a whim. The crack chicken fingers were to DIE for....I'm still thinking about them a day later. Our waitress (Amber?) was the coolest chick. She had mentioned it was her first day and she was a little nervous, but she did an amazing job. Anyone that can put up with my husband and his antics is a special employee! Ha ha! We will definitely be back to check out the live events some time! "Had a great time. Cool atmosphere, good food, good band. The loaded tater tots were delicious and the crack chicken was very good. The waitress was nice and attentive. Kept up the drinks. I would return." "I love this place!! 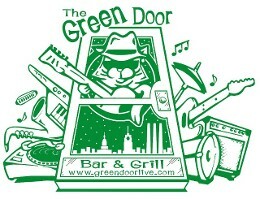 Not many live bands around in this area and the green door is a great place to meet diverse people and have a great time. Global village is an amazing band!!!!" Our restaurant is accessible by Route 1, public transportation, and the Entertainment Express Trolley. We are located near Michigan State University, Lansing Community College, and Michigan University Cooley Law School.